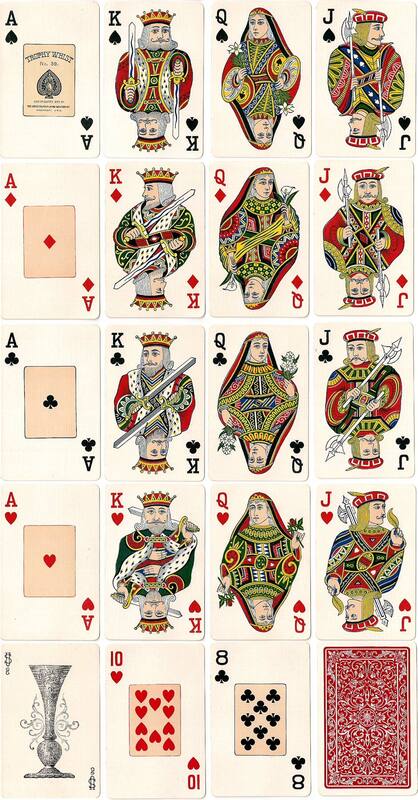 This ‘modernized’ redrawing of the traditional double-ended courts came about in 1895 shortly after the incorporation of the United States Playing Card Co. Around this time they were introducing several new brands into their range. 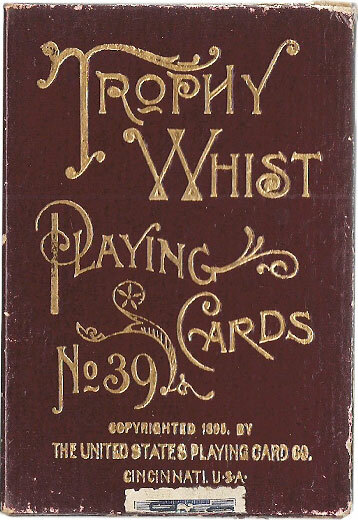 This deck was distributed in a ‘Trophy Whist’ slipcase (shown right) and also in tuck boxes marked ‘National Method Duplicate Whist’. The courts have no borders. Strange as it may seem, the deck did not meet with much success and was discontinued in the same year. 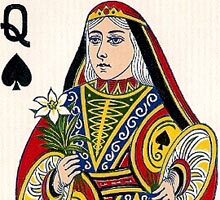 It was re-printed shortly after with more or less standard courts instead of these ‘modernized’ courts, with the same brand name, Joker and box, as many card players would not embrace the new designs. The loser can always blame the cards! Needless to say, the original edition is now quite rare; even the second edition is hard to come by. Above: Trophy Whist No.39 playing cards published by the the United States Playing Card Co., 1895. The number cards have pips within small rectangles. The Joker has the inscription “Challenge Trophy”. Images courtesy Rod Starling.